It seems like now a days even making it to your first anniversary is an accomplishment. With so many spouses quickly diving off the boat when the wind and waves begin to pound, our society is starting to view divorce as equivalent to “breaking up” with a boyfriend or girlfriend, and completely undermining the vow of “til death do us part”, allowing the devil to ravage homes and break children’s hearts. Even in the area of vows, things are changing. I have heard of vows that said they will remain with their spouse “for as long as we love each other”. And what’s the number one excuse for divorce? “I just don’t love him anymore”. 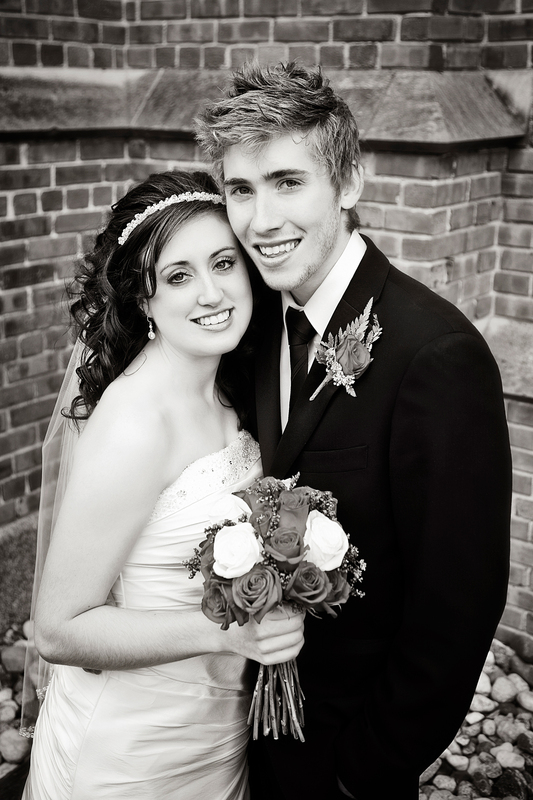 So as Andrew and I hit our first anniversary on June 5, 2011 we looked back on our first year of marriage in awe. God had been so good in preparing us for our first year together. The number one thing I believe that enabled us to have a successful and truly wonderful first year of marriage (when to so many say they had an extremely hard time) is solid pre-marriage counselling. Surely you need guidance to wage war, and victory is won through many advisers. In all the romance and excitement of marriage, we often don’t realize the warzone that we have entered. Marriage itself is God’s design, and the enemy (who the bible describes as being “a roaring lion, seeking who he may DEVOUR“) desires to destroy it. He knows just how strong two people who love the Lord and love each other are in the hands of God, and he does not like that. In our first year we went through a few major life changes. We both started new positions at work when we returned home from our honeymoon. We found out we were expecting our first child 3 and a half months in, purchased our first home at Christmas and moved while I was very pregnant. To top it all off, we had our beautiful little boy two weeks before our first anniversary (without question, the best blessing on that year). It was a fast paced, exciting year, to say the least! We are of course not experts on marriage, but once you get through one season, you automatically can give it to God for Him to use it to help others. Honestly, the Lord amazes me how He will always take our ashes and turn them into something beautiful. So here are my top three lessons that we learned in pre-marriage that I believe took us through with great strength, and are now helping us through a much more challenging year as new parents, learning to rely on the Lord in faith. 1. Come into agreement – This has been a tremendously helpful concept to us. Every important decision we need to make starts with Andrew and I praying together and asking the Lord for direction. We do not move forward on something until we have both heard from God or at least have peace about what the other feels. This has most recently been tested in moving, where it was a lot harder to lay my agenda down. (For more on this check out my blog post “Moving Again”). During our first year of marriage where we were initially learning to make decisions together, it made it a lot less stressful. It’s hard to be upset with someone when you’ve both heard the same thing from God! One example I can think of was deciding on Caleb’s name. We both had different ideas, and it’s not that we didn’t like each others suggestions, but it made choosing whose name to go with a lot easier when the Lord himself told us what our baby should be named. This will also be so much more significant to Caleb when he hears the prophetic word over his life that his name speaks, as Caleb means “wholehearted and faithful”. 2. Have realistic expectations – I believe girls especially have this outrageous expectation that everything is suddenly going to be perfect. Every emotional void in your life is suddenly going to be filled, and your home will be overflowing with eternal love, happiness and peace. Ha! I know for Andrew (and I have his permission to share this) that he was astonished at how deeply emotional of a person I am, and it was definitely an adjustment for him handling my tears, stress, frustration that would then suddenly turn to joy (ok I’m not as manic as I sound here!). Thankfully, our pre-marriage class pulled us back down to earth in the area of expectations. We came into marriage remembering that we have all sinned and fallen short of the glory of God. Our purpose in getting married should not be to selfishly try to have our own needs fulfilled, but to endeavor to serve the other person and love them with our whole heart. 3. Allow God to work on the stuff in your own life, and He’ll work on your spouse – So often we rush to judge the other person or be mad at them for what they are doing. We both have tried to apply this question (and of course we all make mistakes, and I definitely don’t remember to do this all the time), “Why is what he/she doing bothering me so much”? I’ve found in myself quite often it’s been because of a deeper issue in my own life. In our first year of marriage, handling conflict was a little tougher than than it is now (it’s amazing how quickly God can turn a situation around!). Because of trigger points in my heart from things in my past, I would get extremely upset and want to just cry if Andrew seemed at all aggravated with me . This would result in me not talking at all, until I had time to process what had happened and start to feel terrible about the distance between us. When I was finally able to communicate this to Andrew (through many tears) I found freedom in just saying it and started shutting down less. In turn, Andrew changed how he brought stuff up with me knowing how it easily hurt me. When deep hurt is brought to light, love and healing can shine down. When it stays buried in the dark, the enemy uses it to mess with your mind and get in between you and the one the Lord has called you to love forever. I have MANY more great little lessons from our first year, but I think I’ll save some for another post, so I don’t bore you too much here, as I so do appreciate you listening to what I have to say! One other little thing I will leave you with is this: There is great freedom in laughing at negative situations that have been resolved. Some issues that we thought were just our own were once brought up talking with another newly married couple. Specifically the husband mentioned how frustrating it was that his wife always wanted to bring up an issue when they were falling asleep. Well once that was out, we were all laughing and sharing stories of when that had happened. It suddenly wasn’t a big deal. It was kind of funny! The guys realized that it’s maybe just girls, and us girls realized how inconvenient it really is in that moment. The negative power was stripped away when we were able to laugh. I encourage you if you are engaged or soon to be engaged to seek out strong, Godly mentoring and pre-marriage counselling that pushes you beyond the surface or your relationship and forces you to examine your heart and your motives. Having a solid foundation makes all the difference in the world, and brings about a much smoother transition. Whether you’ve been married for a week or 75 years, may you celebrate every milestone, each trying time you’ve made it through, each joyful situation you have delighted in together. May no weapon formed against your marriage prosper and may the Lord fill your hearts and homes with His peace, love and joy.